Supported by the U.S. Economic Development Administration’s POWER Initiative, UBRI is working with the Town of Tonawanda on an economic action plan — called Tonawanda Tomorrow — that will re-position the town as a regional center for sustainable job growth, offer workforce solutions that address the unique needs of Tonawanda workers and businesses, and preserve and enhance the town’s existing assets to create a vibrant community for residents and businesses. 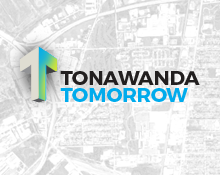 Tonawanda Tomorrow is a community-driven effort that involves residents, community groups, organized labor, and local businesses. The work involves looking at past planning efforts and current data to create a picture of Tonawanda’s economic landscape. Through a comprehensive public process, strategies will be developed, grounded in community values, to guide Tonawanda’s economic future; followed by action plans and tools that will help the Town realize its shared vision for a prosperous community. Joining UBRI and the Town of Tonawanda in this initiative is a broad group of partners from the public, private, and nonprofit sector including the Buffalo Center for Arts and Technology, Clean Air Coalition of WNY, the Ken-Ton Chamber of Commerce, the Kenmore Teachers’ Association, the WNY Area Labor Federation (AFL-CIO), Erie County, and others. This entry was posted on January 24, 2017 .